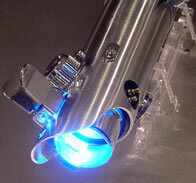 Here we focus on providing the most comprehensive information on movie props – both licensed lightsaber replicas as well as aftermarket conversions and accessories. From collectors to choreographed stage fighting… we’ve established a great sense of community here that revolves around all things Star Wars related and are recognized by enthusiasts world wide. We strive to keep it enjoyable for all ages … from those who first saw Star Wars back in 1977 to our kids who are seeing it for the first time. So again, welcome to Fx-Sabers and may the force be with you! Prepare for a massive data download! 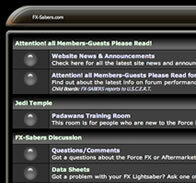 The Fx Saber forum is a galaxy-sized database of every concievable topic related to StarWars and lightsabers. From Force FX lightsabers to Luxeon sabers with tricked out internals and custom sound cards – from collectible memoribeila to DIY costumes and props – you'll find it all and more here. Plus you'll appreciate the family friendly environment created by a fabulous group of helpful, respectful members and moderators. 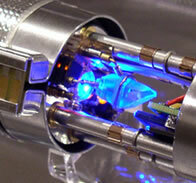 The Fx Saber forum is truly a rare galactic gem of a resource. Fx Sabers very own Saber Master goes to great lengths to provide some very thourough descriptions of the various saber types and classifications... accompanied by photos to facilitate the learning process for those who may be new to the world of sabers. His name is know throught the proverbial galaxy and is synonymous with custom saber creations. Functional works of art - exquisite movie prop recreations that could only be rivaled by the real thing ( which of course don't exist ). The fact of the matter is, if your a saber enthusiast and Star Wars fan, you won't want to miss this jaw dropping display of craftsmanship at it's finest. We've compiled a list of our recommended websites for various saber related merchandise. Why search cyberspace aimlessly when we can give you direct access to the most reliable and respected names in the saber community. 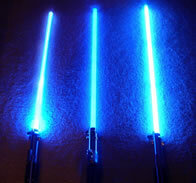 FX-Sabers and the FX-Sabers logo are registered trademarks of FX-Sabers.com. Background space art is owned and created by Josef Bartoň and is used here with his permission. Landscape art is owned and created by AKAJORK and is used here with his permission. 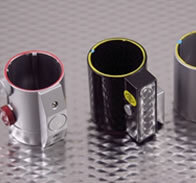 All other artwork on this website is © 2012 FX-Sabers.com All rights reserved.